More than a dozen people are making their way from Bath to Buckingham Counties this week along the proposed route of the Atlantic Coast Pipeline – hoping to raise awareness of the environmental damage that project could cause. Sandy Hausman caught up with the group in the George Washington National Forest. 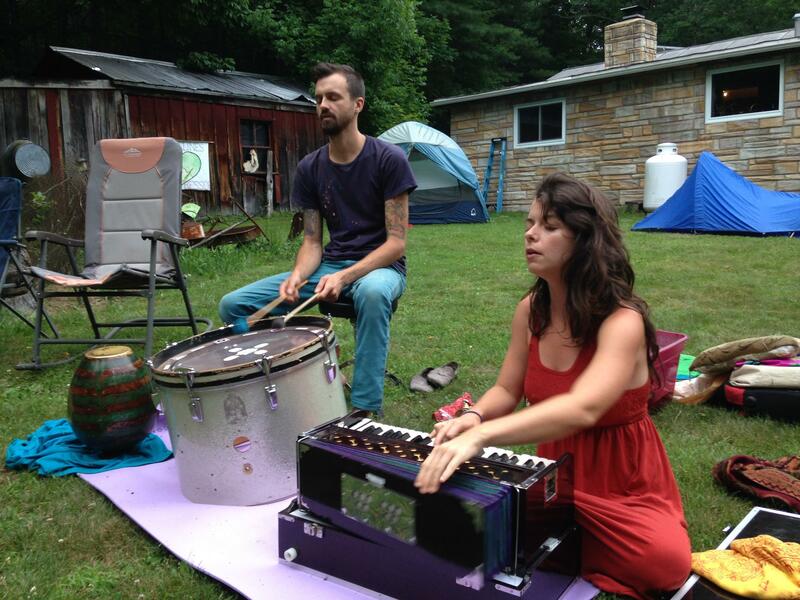 The musical duo Lobo Marino performs for Atlantic Coast Pipeline protestors who are walking the 150-mile route from Bath to Buckingham County. Stopping for the night around a glowing camp fire two musicians from Richmond treated the group to songs inspired by Virginia’s natural beauty. “Holy river take me back in time,” sang vocalist Laney Sullivan to the mournful chords of her harmonium. She and partner Jameson Price joined the 150 mile walk because they fear the Atlantic Coast pipeline will damage the environment. Melissa Wender of Charlottesville felt the danger deeply as she climbed up and down mountain trails. For Carrie Gerstantis, who also lives in Charlottesville, the thought of a pipeline being built for profit was equally disturbing. 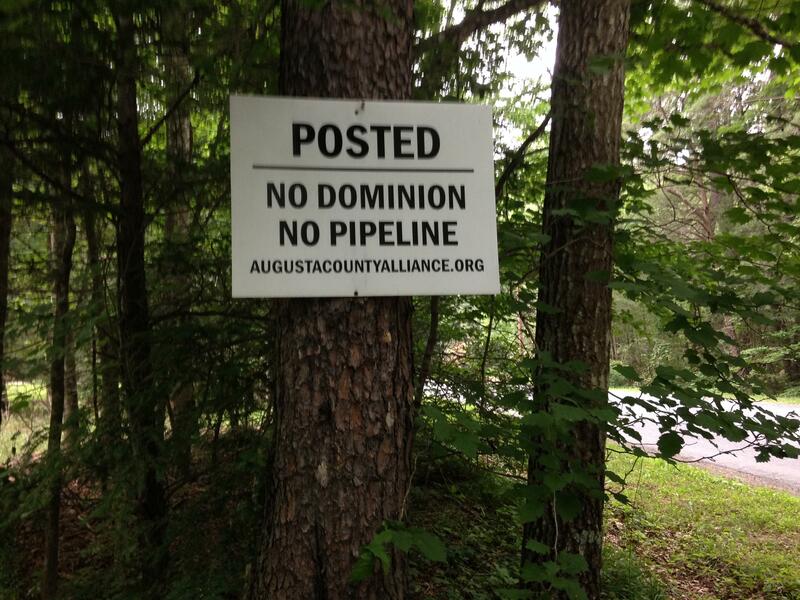 A sign in the midst of the George Washington National Forest suggests how controversial the Atlantic Coast Pipeline has become. And Charlottesville’s Lee White felt bad for families who lost their fight to keep Dominion Energy from taking their property through eminent domain. Pam Mendosa, who lives near Nellysford, could definitely relate and was glad to support the property owners she met en route. Elizabeth Gay expressed gratitude for the hospitality shown as marchers camped on private property each night. And Deborah Kushner agreed, the locals were kind. The group will arrive in Buckingham County on Sunday, July 2nd in time for church. After that, trucks carrying food and the port-a-potty head home, but some hearty souls plan to continue walking the line into North Carolina.